Naperville, founded in 1831, located 25 miles west of Chicago, is the fourth most populous town in Illinois - second of Chicago's 350 suburbs in the metro area of nine million people. Only next-door Aurora, which paces Naperville, is larger. 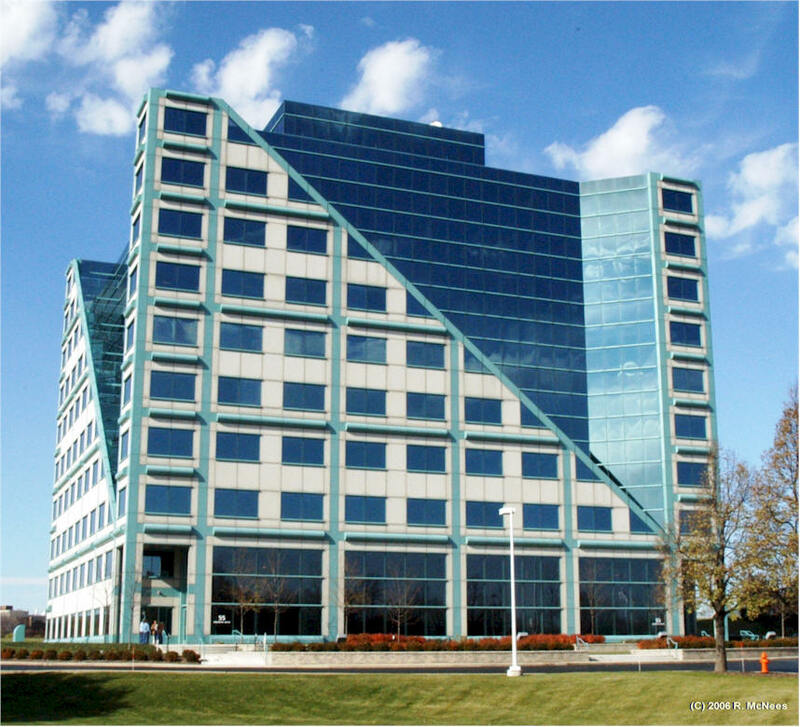 One of the ten fastest growing towns in the nation during the 80's and 90's, Naperville has close to 150,000 residents and covers about 40 square miles. 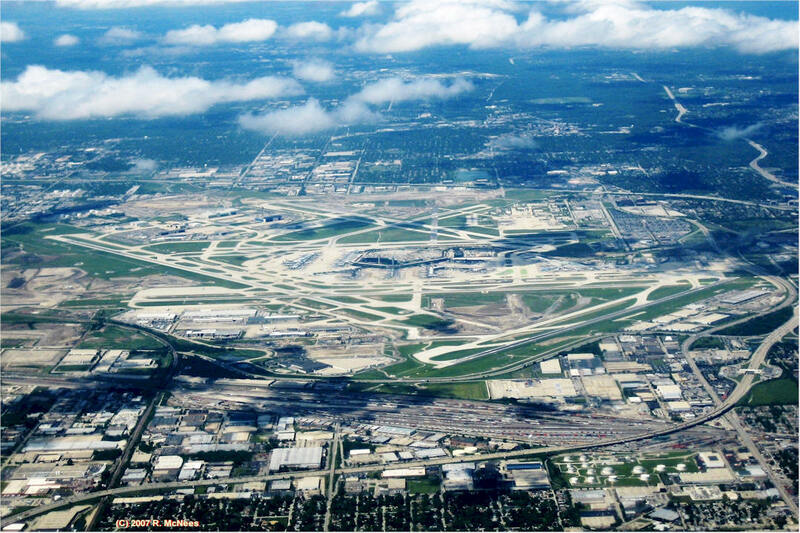 Naperville is adjacent to and is bounded by the communities of Aurora, Bolingbrook, Lisle, Plainfield, Warrenville, Wheaton, and Woodridge, Illinois. Naperville is known for quality of life, family friendly lifestyle, green spaces, good schools, strong churches, a vibrant social and cultural scene, and great location with easy access to highways, airports and rail transport to Chicago. 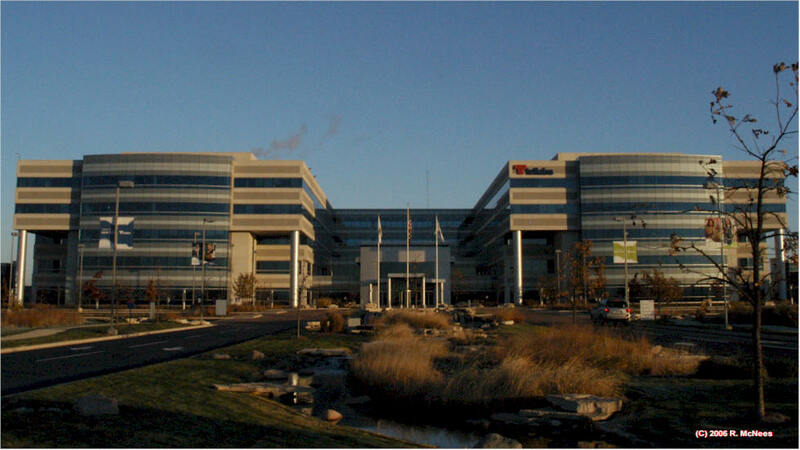 Naperville is the heart of the Illinois Research and Technology Corridor, also known as the Silicon Prairie - home to many tech firms (below). 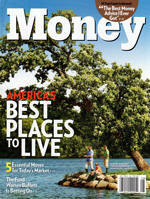 It is located in DuPage County, the 11th most affluent in America. Did architect Helmut Jahn really intend to make this a 'N'aperville statement landmark? Unfortunately, growth breeds traffic. The challenge of traffic congestion is a problem, as it is through the metro area, yet the potential arterial 87th and 95th street east west thru-ways inexcusably remain unfinished, denying the town a much needed east west alternative to the 75th street corridor route and clogging other routes across town. 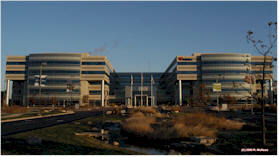 Naperville and adjacent communities are home to several Fortune 500 and leading companies including CONAGR. Laidlaw International, Molex, Navistar, Servicemaster, Tellabs, OfficeMax, Calamos Investments and numerous high tech companies such as BMC Software, Computer Associates Lisle Labs, Quinnox, T-Systems, Unisys, as well as major world renowned research facilities including BP Amoco, Lucent Bell Labs, ONDEO Nalco Laboratories, Nicor, and nearby Argonne National Laboratories and Fermi-lab National Accelerator. Naperville was ranked as one of the top places to live in the US by CNN Money Magazine - #3 in 2008, #2 of the 'best places to live in the US" by CNN Money Magazine in 2006, #3 in 2008, 2005 and in 2002. 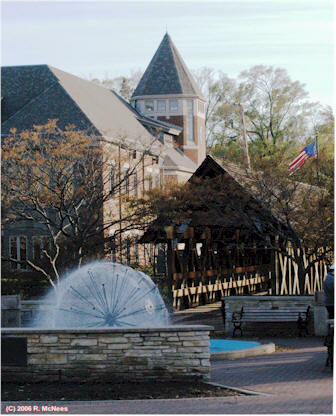 Naperville was cited as one of the "10 Most Enlightened Suburbs" in the March/April 2003 issue the Utne the national news magazine. Naperville was recognized for a unique family and kid oriented lifestyle, being awarded the most kid-friendly city in the USA in 1997. Naperville received an A+ overall Honor Roll ranking and was third in the nation in the Kid-Friendly Cities Report Card 2001 published by the Washington, DC based Zero Population Growth in its bi-annual survey. 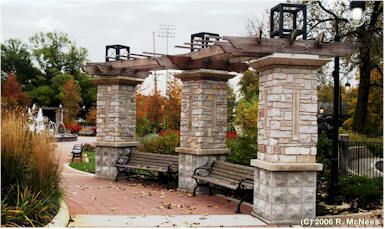 It's A+ rating in 1999 ranked Naperville second in the nation for suburban cities across the nation. 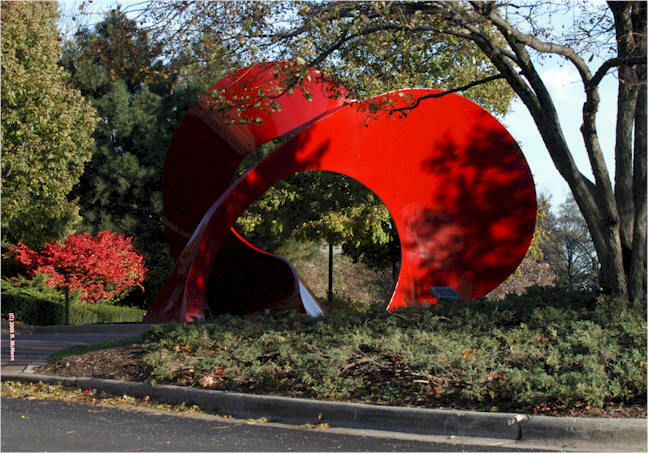 Naperville is home to some notable architecture with works ranging from Helmut Jahn (above) to Prairie School designs by Harry Robinson and John S. Van Bergen, prot�g�'s of Frank Lloyd Wright. History of the Goetsch house by Van Bergen and early Naperville is chronicled in the memoirs of William Marshal Goetsch. Riverwalk Friedenberger Park - Rick McNees photo. In 1997, a quality of life index comparing living conditions in 219 cities throughout the United States rated Naperville as the best place for kids to grow up, as reported by CNN. Naperville ranked #1 - lowest in stress among the 245 US cities with 100,000 or more residents according to a study by the American City Business Journals published in February 2005, attributing high incomes, low unemployment and stable families. Naperville School District 203 schools tested first in the world out of nearly 6000 competing schools in science aptitude scores in 2001. Naperville North H.S. finished first in the State of Illinois in Science and Math competition and scores twelve out of thirteen years from 1994 to 2007, eclipsing the nearby Illinois Math & Science Academy. The WYSE (Worldwide Youth in Science and Engineering) team won the state championship from 1999 to 2005, 2007, and 2008. The Varsity JETS (Junior Engineering Technical Society) Team in 2005 placed first in the nation, while the Junior Varsity placed second in the nation. The 2005 JETS Varsity team is also distinguished for having won first in the nation back to back (in 2004 as JV and in 2005 as Varsity). In 2004, 2006, and 2007 the Naperville North Science Bowl team won first at the Illinois Science Bowl Tournament and went on to compete at the National Science Bowl Tournament. They also won the State Championship in 2005 but did not advance to nationals due to a scheduling conflict with Math Team. Naperville Public Library was cited Most Efficient & Busiest Public Library in US Nation-wide rankings for public libraries by �American Libraries�, the official magazine of the American Library Association. The Naperville Public Library, for an unprecedented ninth time in a row, was ranked #1 in the 100,000 to 249,999-population category. More than 9,000 libraries from across the nation were ranked. 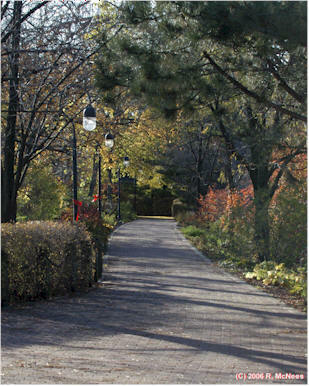 The Naperville Riverwalk, a popular meeting place has transformed the DuPage River waterfront with miles of walkways, covered bridges, and parks. Popular sites and destinations include an amphitheatre, a quarry complete with paddle boats and the 'Beach' municipal pool, and a sledding hill. 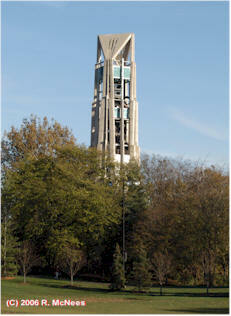 The Millenium Carillon, one of the tallest, and one of only four out of 600 in the world to span six octaves. Historical Naper Settlement is a faithful recreation of early 19th century Naperville. The city centre is vibrant and lively, a popular destination with a wide range of shopping and dining choices. 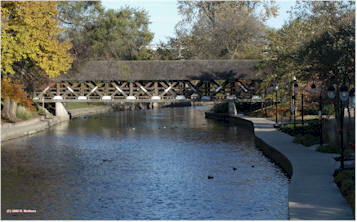 Naperville Riverwalk - Rick McNees photo. Also see Naperville Professional Athletes below. There are more than 75 colleges, universities and professional schools within 30 miles. 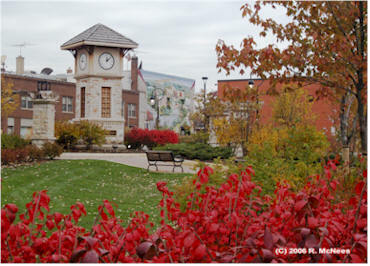 Naperville is home to North Central College as well as regional campuses of Northern Illinois University, DePaul University, DeVry University and Robert Morris College. The University of Illinois at Urbana-Champaign offers graduate courses in Strategic Technology Management and Masters in Computer Science studies at its Naperville location. Nearby, College of DuPage, known locally as 'COD', is one of the largest community colleges in the nation with over 40,000 students. There are also well known Wheaton College, Benedictine University, Aurora University, National Louis University (Wheaton) and west suburban campuses for IIT - Illinois Institute of Technology, University of Illinois Extension - DuPage, Westwood College, and Keller Graduate School of Management. North Central College - Rick McNees photo. Veterans Memorial Tollway, I355, and I 55. Naperville is a sports town. Naperville school teams routinely win state championships and are often nationally ranked. Local club teams compete at the state and national levels. The Park District maintains several recreational sports complexes, golf courses, and a skatepark. Naperville's North Central College Cardinal Stadium. 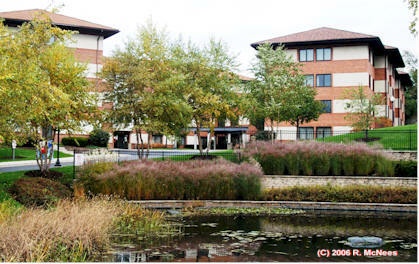 is located next door in Four Lakes Village in Lisle. Benet Academy wins 2014-15 Class 4A state championship in girl's basketball. Naperville Central's Tiffany Chen won the 2013 Illinois state singles tennis championship. Amanda Fox was the 2011 IHSA Class 3A state champion in girls Cross Country for Naperville Central HS. Naperville Central HS was the 2011 Boy's Soccer championship 2nd place runner-up. Evan Lysacek was the Men's Figure Skating Gold Medal champion in the 2010 Olympics, the 2009 World champion, the 2005 & 2007 Four Continents champion, the 2007 & 2008 U.S. national champion, and the 2009/2010 Grand Prix Final champion. Naperville Central HS 2010 IHSA 4A Baseball state champions. Naperville North HS wins 2008 IHSA 3A Men's Cross Country championship - lead by Kyle Gibson. 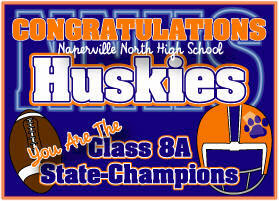 Naperville North HS 2007 IHSA 8A Football state champions. Naperville Central HS 2007 IHSA Volleyball state champions. Naperville Central HS 2006 IHSA AA Baseball state champions. Naperville Central's Elizabeth Lumpkin was IHSA Girls Tennis Champion in 2000 thru 2003, winning as a Freshman, Sophomore, Junior and Senior. She finished her High School career on a 76-match winning streak and won 97 of her last 98 matches. She lost just three sets during that span, and did not lose any in the 2003 tournament when she dropped just 15 games in seven state matches. She finished with a 122-5 career record, with four of those losses coming as a freshman. She was 28-0 in both her junior and senior seasons. She became the first girl in Illinois history to win the state singles title 4 years in a row. Naperville Central HS 1998 IHSA Boys' Volleyball State Champions. Naperville Central HS 1993 IHSA Class AA Girls Tennis state team title. Sean Payton, Head coach of the New Orleans Saints. Candace Parker, NCHS standout is playing in the WNBA. Naperville and the nearby communities has excellent golf courses - there are nearly 300 golf courses within 20 miles of Naperville! The Naperville Grand Prix is a charity event that raises money to prevent child abuse and support the family unit. This event is and the immensely popular annual Ribfest are organized and implemented by the Exchange Club of Naperville. Community Theater-The Summer Place, Inc.
T.R.O.D. - Trailriders of DuPage - to promote and expand equestrian trails access within the County of DuPage. Young Life - this incredible youth organization serving all five area high schools has grown from 90 to 800+ members in six years providing Christian based fellowship and programs for teens.